Day's End along The Hailstone Trail ©2017 James D Peterson. On a clear autumn day, the sunset light on the western face of the Chiricahuas is something to behold. 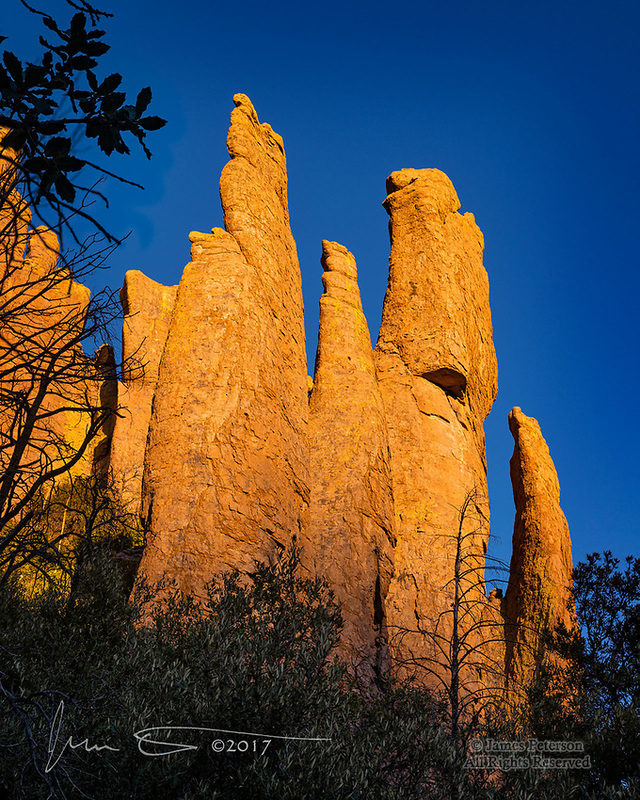 Especially when it is illuminating otherworldly rock formations like these, found in Chiricahua National Monument.